Tunturi treadmills have been in the fitness equipment industry for 80 years now. And recently, they launched the new and improved Tunturi T-series. These treadmills are created to cater both domestic and light commercial users. These new machines are bigger, more stable and have better features. Are They The Best Treadmill For You? Tunturi machines are perfect for people who want an affordable yet good quality treadmill with decent power and features. So if you think you’re the one being described here, then this might be the brand for you. Tunturi has been making fitness equipment for a long time. They are the largest manufacturer of bicycles in Finland and a well known manufacturer of fitness equipment that combines over 80 years of experience with solid Finnish quality and international expertise. Tunturi is part of the international Accell Group and is located in Turku, Finland. All their U.S. treadmills now are being manufactured in Taiwan. They are doing this to cut down on their expenses and be able to sell their machines at a lower price. But this move also resulted in the decline of their product's quality. Tunturi treadmills for home belong in the mid-price range category. They are usually sold at around $1,500. With price tags like these, I believe most people can afford it. But the new T-series from Tunturi is priced much higher than your average treadmill. According to the company, they should be considered as light commercial treadmills which is why they are priced up to $3,000. For home use treadmills, they offer 15 years on both motor and frames, and 2 years for electrical components and other components. Also, if you register your product, the warranty of electrical and other components will be extended for 1 year. For light commercial and gym use treadmills, you get a warranty of 1 year for the motor, frames, and electrical components. The new T-series has better quality and features than the company’s previous treadmills. But when compared to other top brands, Tunturi still needs more improvement on the overall total value it provides. Also, they could do something about their warranty. Offering 1 year warranty for the motor and frame is unheard of in the above $3,000 price range, even if this only applies for light commercial and gym use. Tunturi offers decent treadmills, but I believe there are other comparable machines out there that will provide better value for your money. And, I believe their new T-series is a bit overpriced compared to other brands offering similar models. So to conclude, I wouldn’t recommend Tunturi treadmills. If even after reading my recommendation, you would still want to buy Tunturi treadmills, I suggest you buy from Amazon.com. Please read our reviews on individual Tunturi products below. It will help you better choose the best treadmill for you. Others: This is Tunturi's cheapest and most basic treadmill in the market today. Others: A beautifully designed treadmill but doesn't provide enough value to be competitive in this price range. 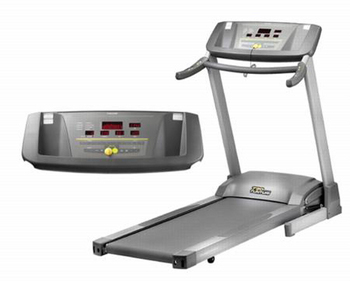 Below are a few of Tunturi's more recently discontinued treadmills. These reviews would remain on this site as some, if not most, of these treadmills can still be bought on sites like eBay and Craigslist. Others: This was Tunturi's cheapest treadmill in the market during its introduction. Others: This treadmill had heart rate controlled workouts for a treadmill just above $1,500. Others: This was one of the first treadmills featuring the patented Position Speed Control (PSC) which allowed you to adjust the speed of your run hands-free. Others: This treadmill was the folding version of the T80 above. Others: This treadmill was one of the most advanced and most expensive Tunturi treadmills ever made. Others: Similar to the T85 above, except this one was foldable.